Switch decal that is ideal to give a touch of colour and joy to the room of your children. 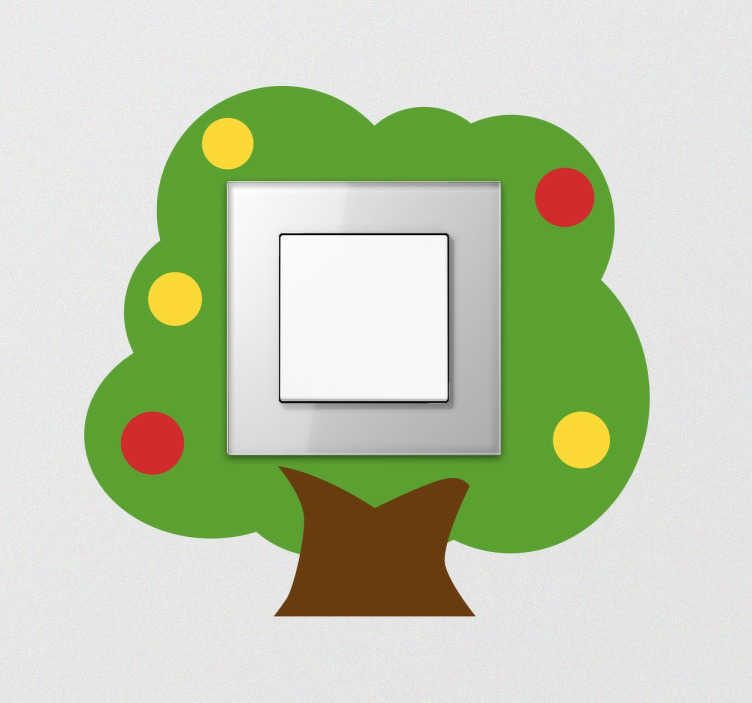 Plug or switch decal with an image of a colourful fruit tree, a simple and inexpensive way to give an original touch to even the smallest bedrooms or classrooms. Bring your children closer to nature and decorate an otherwise un-aesthetic element such as a switch. The measures indicated refer to the box itself. If you have any questions please contact us.